How Not to Die is a guidebook about preventing death from the 15 most common illnesses and diseases. With groundbreaking scientific research to back up each and every one of author Dr. Michael Greger’s claims, this book presents a conclusive, step-by-step guide to combating different diseases through your diet and general lifestyle. We have compiled all these steps into simple, easy-to-follow actions for you to try! So, if you’re at risk of any of these 15 diseases, you will not have to worry any more—your solution is right here. 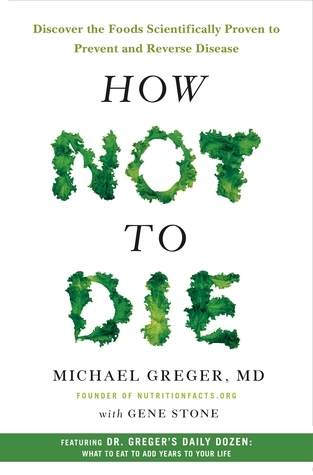 A founding member of the American College of Lifestyle Medicine, Michael Greger, MD, is a physician, author, and internationally recognized speaker on nutrition, food safety, and public health issues. He has lectured at the Conference on World Affairs, testified before Congress, appeared on The Dr. Oz Show and The Colbert Report, and was invited as an expert witness in the defense of Oprah Winfrey in the infamous "meat defamation" trial. Do not die from a stroke. Do not die from infections. Be aware of the microorganisms that cause food poisoning. Do not die from high blood pressure. Do not die from blood cancer. Do not die from suicidal depression. Do not die from iatrogenic causes.